Reputation Manager: Reputation Management for Small Businesses - TVS Internet Marketing, LLC. Stand out in the search results by having more online reviews! Reputation Manager is a simple-to-use tool that will help you get feedback from your customers and build online reviews on the review sites that matter the most to your business. Reputation Manager will help you get more testimonials and online reviews with ease – while also helping to prevent negative reviews from appearing online. Request aFree Online Reputation Evaluationand I'll Show You How You're Doing! Have Questions About Reputation Manager or Ready to Move Forward? These are the frequently asked questions I get from small businesses considering the Reputation Manager tool. When we talk about reputation management we’re talking about what others say about you and your business online. These opinions can be voiced on review sites, social media sites, forums, blog, and just about any other web page online. Online reviews, however, have the greatest impact on a local business owner’s reputation and their bottom line. 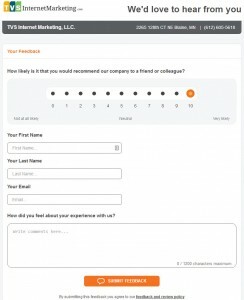 Reputation Manager addresses just that – your online reviews. It’s a tool that will help you get more reviews online while helping to prevent negative reviews from appearing online. If you actually use the tool, over time you’ll have a lot of positive online reviews on review sites that have the greatest impact on your business. The result will be your business will stand out more in the search results and you’ll generate more business because of it! Every testimonial and online review you get using Reputation Manager is real! They are directly from your customers. The tool does not generate testimonials or reviews. 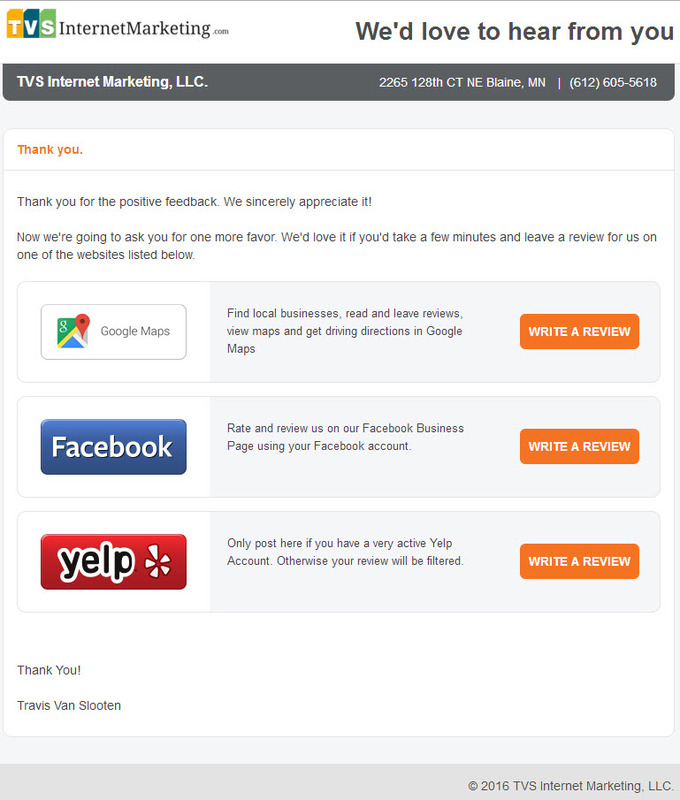 It’s simply a tool that helps you get testimonials and online reviews from your customers. Reputation Manager is a fully automated tool and for most businesses requires less than 20 minutes per week if the email functionality is used. The email function allows you to upload customers names and email addresses so the tool can follow up with them with an email requesting feedback and a review. Otherwise if you don’t use the email function and you just have a link to the Reputation Manager feedback page on your website and/or give that link to your customers, there is no ongoing management required! 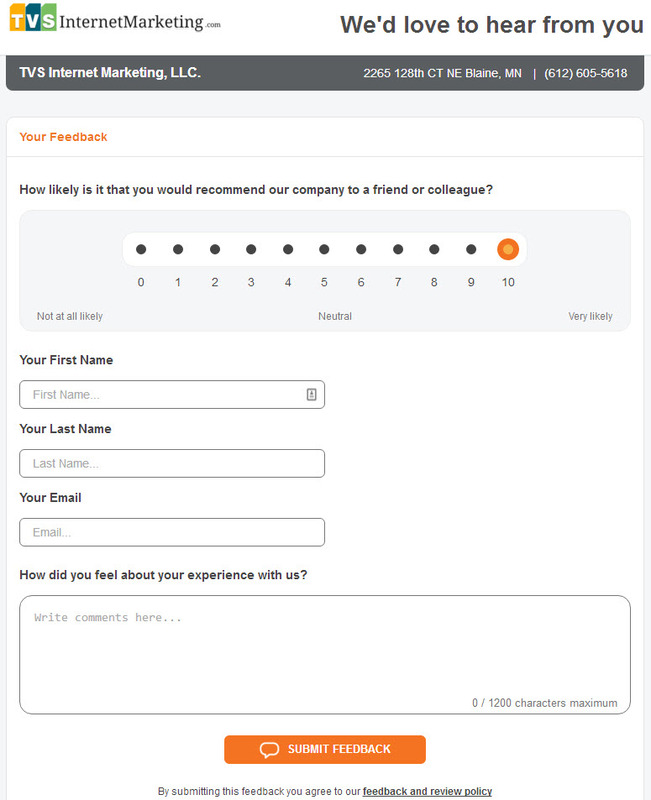 As customers visit your feedback page you’ll start getting more testimonials and online reviews. You’re a business owner so you have better things to do than learn how to use a tool! Even though the tool is very easy to use it would still take a good hour or two to get familiar with it and get it all configured if you were to do it on your own. When are you going to find time to spend even a couple hours doing this? Probably never, right? The set up fee covers my time to configure the tool specifically for your business and to show you how to use the tool. You also have a direct line to me to ask any questions you have as you use the tool. You’ll have access to a number of tutorials on how to use the tool but you won’t need them because I’ll be setting everything up for you and I’ll be available to answer any questions you have!